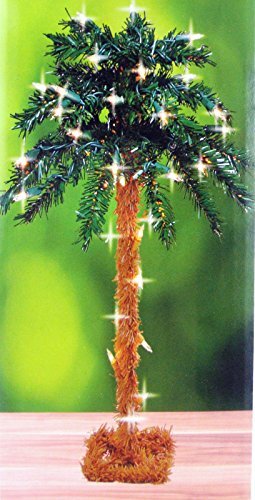 18 " Artificial Lighted Palm tree , Indoor / Outdoor use . Perfect for Birthday Parties , Laui, Table top Decorations , etc. Mini Palm tree 35 Clear lights. Plugs in any outlet & UL listed.